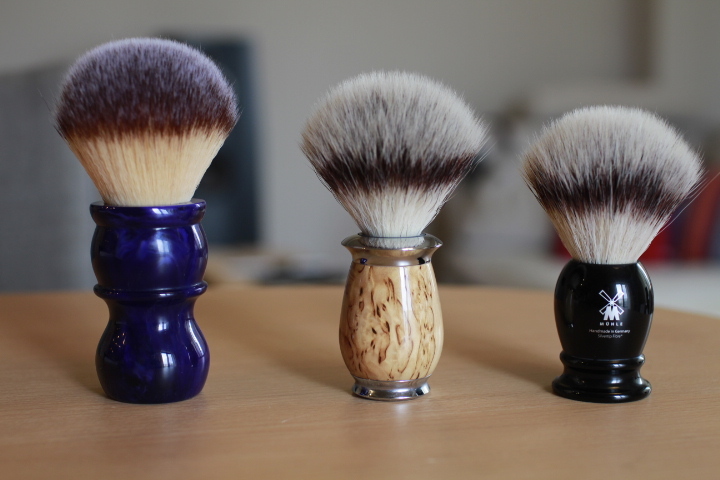 Up for sale are 3 synthetic shaving brushes being sold together. All were purchased new by me and all are in excellent condition. 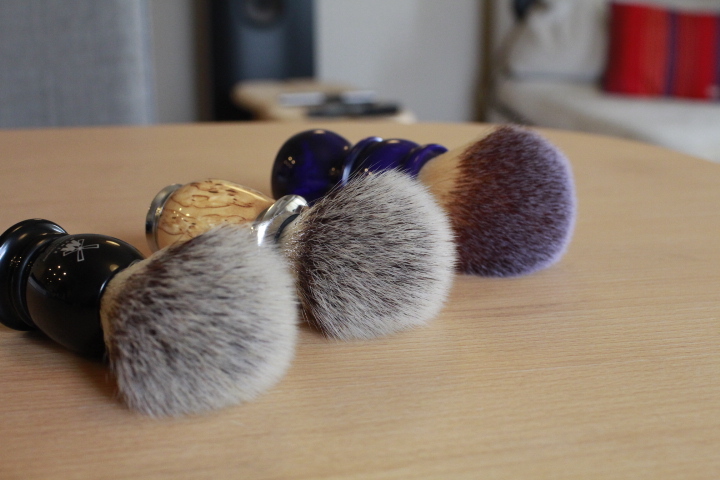 The Muhle brushes were purchased directly from Muhle in Germany and Yaqi was purchased through West Coast Shaving. 1. Muhle Purist with Karelian Masur Birch handle, the cost was 88 euros or $98. This has a 21mm synthetic knot and has been used 5 times. The knot is superb and splays like a natural badger brush. 2. Muhle Classic, the cost was 49 euros or $55. This is a 23mm synthetic knot and has been used 15 times. The knot has a medium firm backbone and good for harder soaps. 3. Yaqi Bluish Violet, the cost was $15. It has a 26mm knot and used twice, the knot has a medium soft backbone and splays easily. The total cost was $168, selling for $90. The price includes worldwide shipping via Japan Post EMS, this is an express service and takes 3-5 days to the US.